Even if you want to visit the island of Koh Chang with a smaller budget, you will find great accommodations for little money here on the Elephant Island. Staying in a low budget accommodation or a hostel is not just a small room away from the beach. 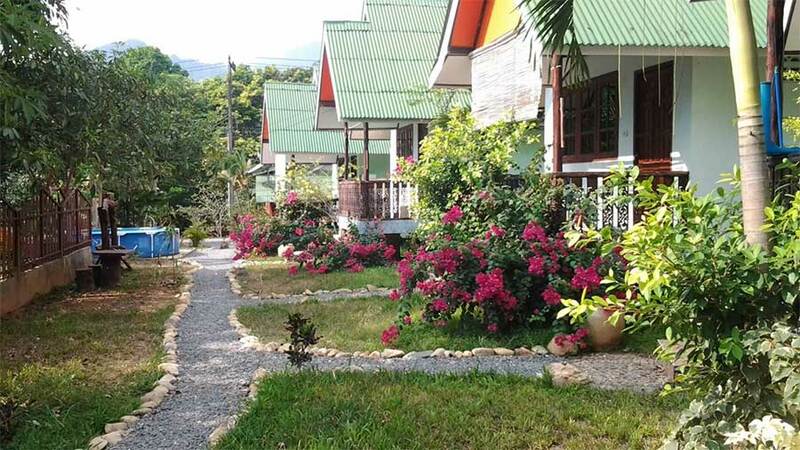 In recent years, many authentic hostels and low budget accommodations have found their place on Koh Chang and therefore offer great accommodation for a smaller budget. Especially Lonely Beach is one of the low budget backpackers beaches on Koh Chang, but lonely one is not here any longer, but who like like-minded people and want to drink one or two beers in cozy bars in the evening, is definitely in good hands in Lonely Beach. But also Klong Prao and Bailan Beach offer great accommodations, for little money, where you can comfortably enjoy the sunset on the beach in the evening. The Pajamas Hostel is located almost directly on the Klong Prao Beach, and therefore offers direct access to the beautiful beach. The hostel is run by two young Thai people, who have already gained experience in the management area in Bangkok and now fulfilled their dream. The hostel is very modern and offers a dorm as well as private rooms. The dorm sleeps 8 people in bunk beds and has air conditioning. At the Pajamas Hostel there is also a women’s dorm, the shared bathrooms are seperate for men and women, but always very clean and tidy. The private rooms overlook the in-house pool and provide some privacy. The Klong Prao Beach is located right on the doorstep and is one of the most popular beaches on Koh Chang. The owners are trying very hard to create a cozy atmosphere, so that their guests can relax by the pool and feel good. The BB Hostel is located right in Lonley Beach and offers a great place to stay for those on a budget. 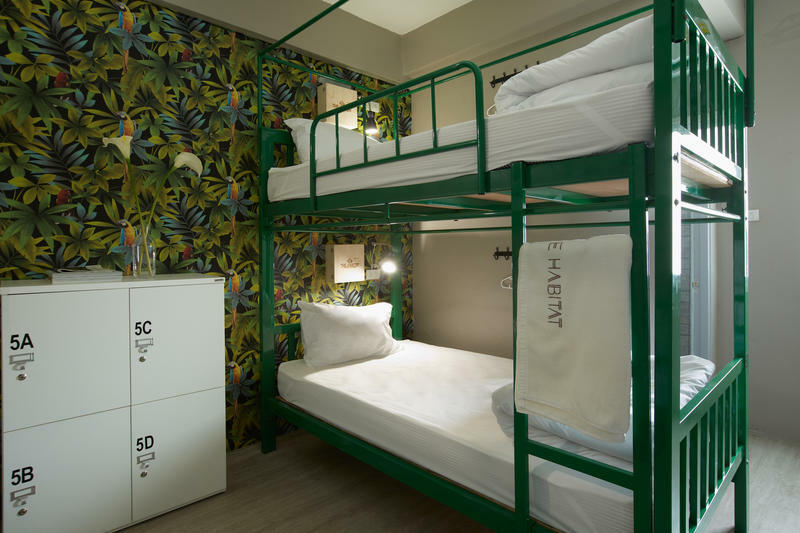 The BB Hostel is a really quirky hostel, as it used to be found everywhere in Southeast Asia. If you want to get to know new people and like to party, the BB Hostel in Lonley Beach is for sure. The hostel also has a small pool where you can enjoy a nice cocktail on the beach. 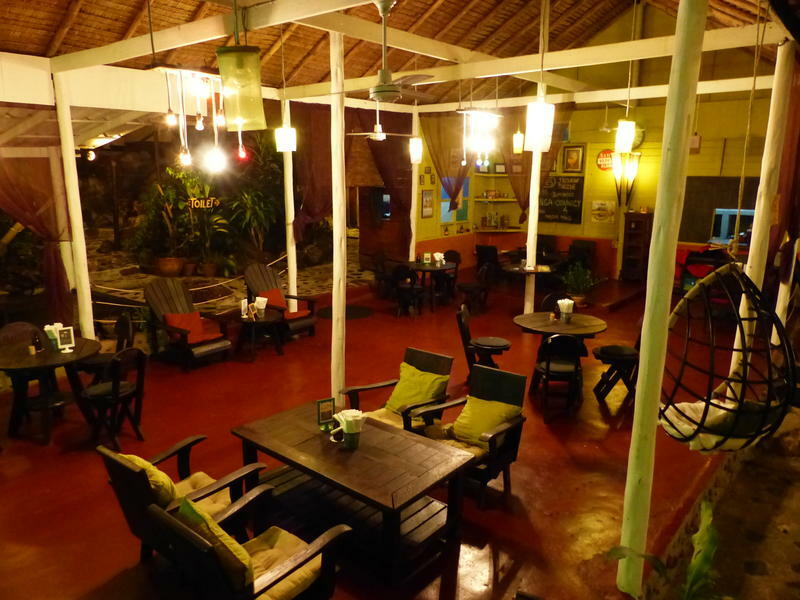 BB Hostel Lonley Beach also has an excellent tapas bar and fitness center for sports enthusiasts. The hostel can choose between a 4 bed dorm and private rooms. 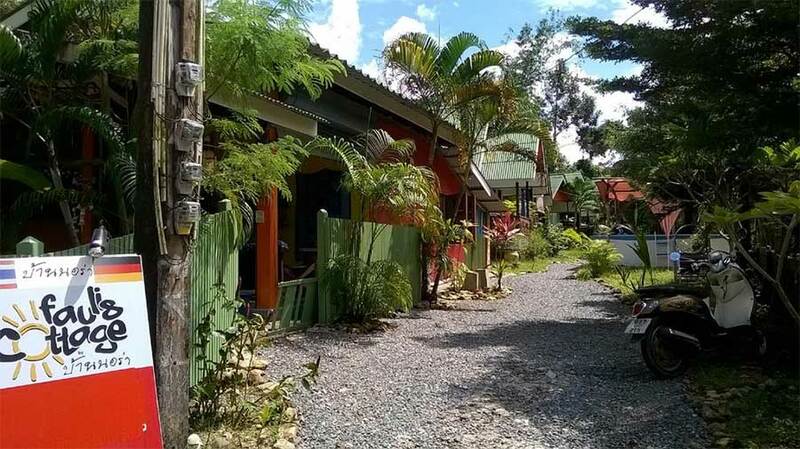 If you want to spend a small amount of money in the backpacker village on Koh Chang and are looking for contact with other travelers, then the BB Hostel Lonley Beach is the place for you. 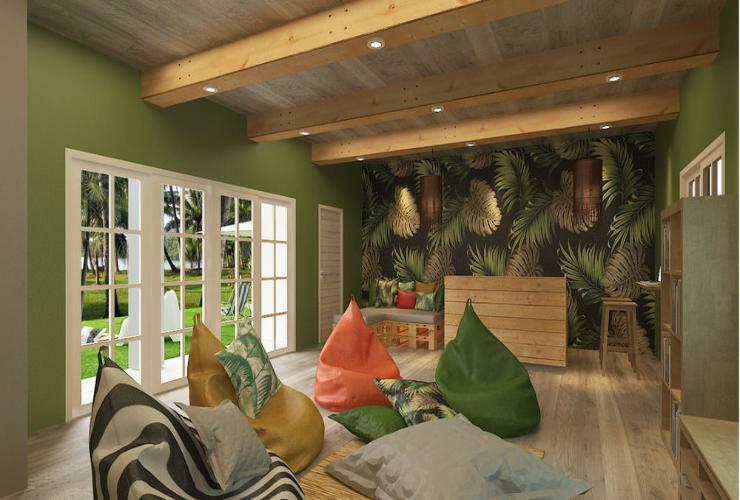 The Habitat Hostel is one of the newest hostels in Ko Chang, has opened only in the year 2016th Located in the north of Klong Prao, the hostel is very popular with those travelers who want to enjoy the tranquility of the island, and do not feel like partying and celebrating in Lonley Beach every day. The rooms in the Habitat Hostel are newly renovated and very cozy and nicely decorated, as well as in the pajamas Hostel there is a separate dorm for women only, but also mixed bedrooms. In addition, the hostel has private apartments, which you can even rent for a whole month for a small fee. 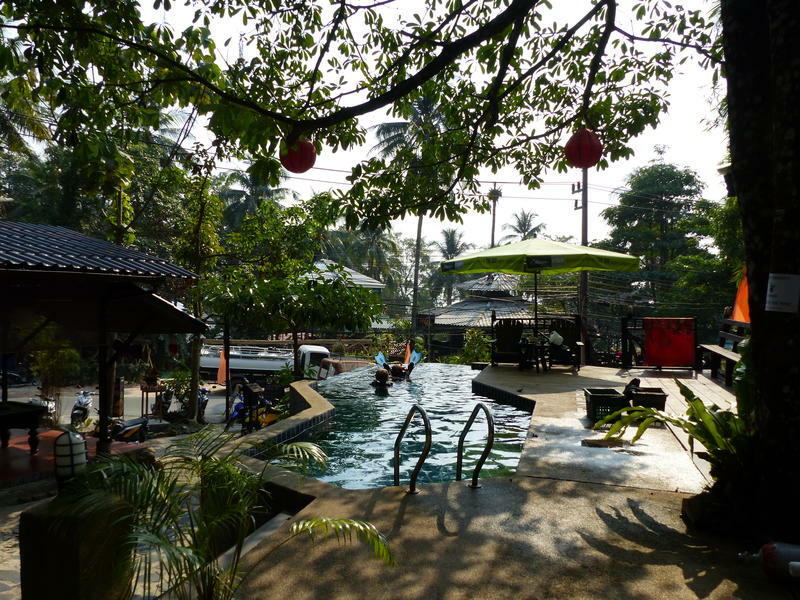 The tropical garden and the common louge make the hostel really cozy and it also invites you to chill out and relax, besides the Habitat Hostel is only 5 minutes walk from the beautiful Klong Prao beach. KP Huts is located right on Klong Prao Beach. 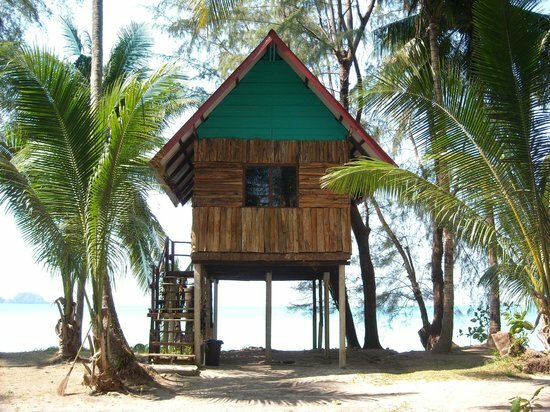 The simple cabins are built on stilts right on the beach and each bungalow has authentic sea views. The bungalows are very simply furnished and equipped with a fan, but who wants to enjoy true beach life is just right. In contrast to other bungalow right on the beach you get a real bargain in the KP Hut, the prices vary of course also seasons. Some of the bungalows have an en-suite bathroom, while others do not have very clean shared bathrooms. The view of the sea and the beach is really breathtaking, from the balcony you can watch beautiful sunsets here on the west coast. 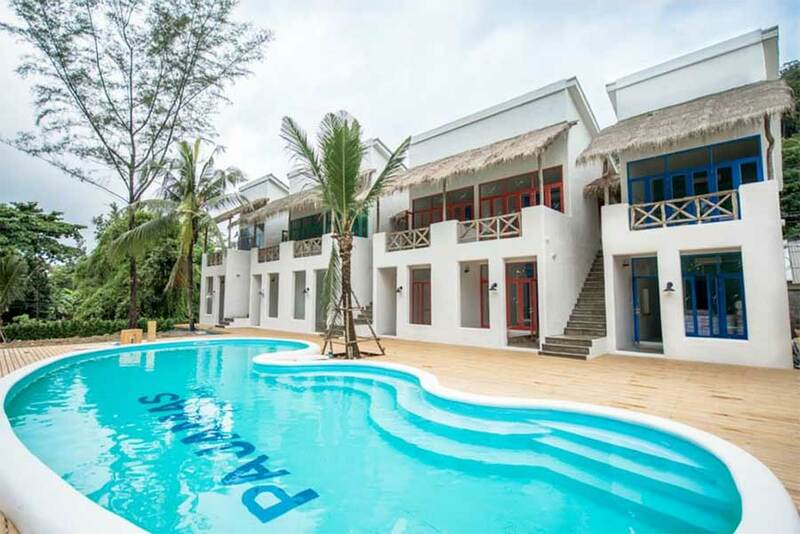 The beachfront and garden view bungalows of Siam Hut are located in Lonley Beach and attract especially in the high season backpackers who like to party in the evening and enjoy the simple life right on the beach. Last year, Siam Hut rebuilt the once simple bungalows and built in doors and windows, but nevertheless the bungalows are still very basic and in the lower price range. 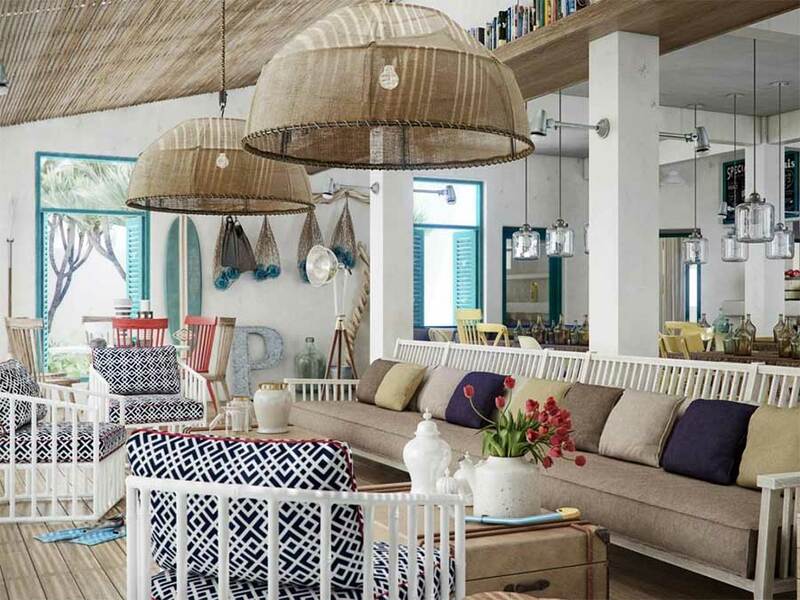 In addition, you will find in the bungalows of Siam Hut a cozy beach pub where you get everything you need for relaxing days. 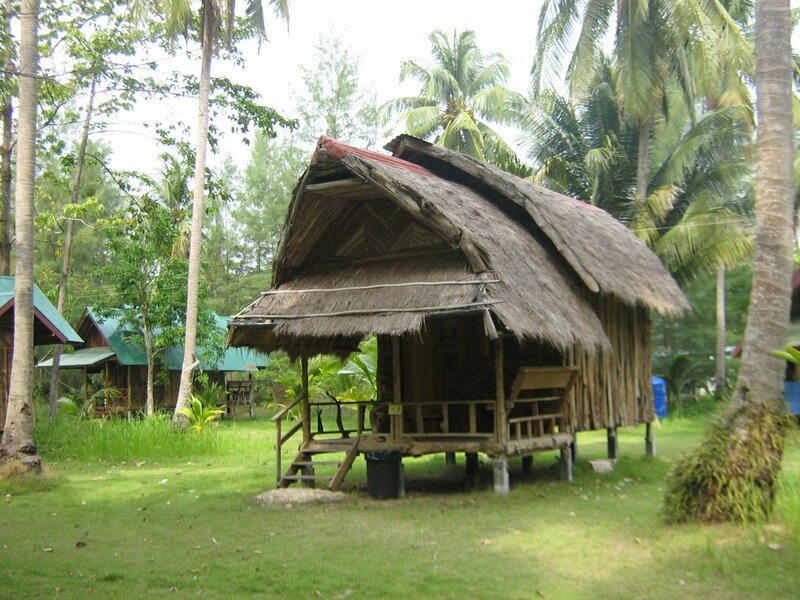 The Hippy Hut Guesthouse is located in the south of the island, more specifically in Bang Bao. The guesthouse can not be overlooked, painted in the Rasta colors, it draws attention when passing by already attention. The simple bamboo bungalows are equipped with a mattress, a mosquito net and a fan, the walls in the colors green, yellow and red nicely painted. You will also find a cozy hammock where you can enjoy the view over Bang Bao. All around are a few cozy bars where food and drinks are served. The Freedom Home is on the last beach just south of the west coast. Clone Koi is located in the Bay of Bangbao and has a beautiful sandy beach. The Freedom Home consists of simple bungalows with mosquito net, fan and bed, and all bungalows are en suite. Almost all bungalows have direct access to the beach and are therefore particularly suitable for guests who have planned a relaxing holiday by the sea. The Freedome Home also has a small cozy bar where you can get snacks and drinks, but especially the location and the cozy area make the bungalows something special for a small price. The bungalow complex of Faulis Cottage is located on the way to the Klong Plu waterfall and is located in the middle of the jungle. With the motorbike you can reach Klong Prao and the beach in 10 minutes and still enjoy the quiet nights in the jungle. The bungalows are simply furnished, clean and have everything you need for a relaxing holiday. In addition, there is daily very good, European breakfast in the Faulis Cottage with rich bread, cheese and sausage from the German butcher. So if you are looking for nice clean bungalows for a reasonable price and want to relax in the middle of the jungle is definitely right. 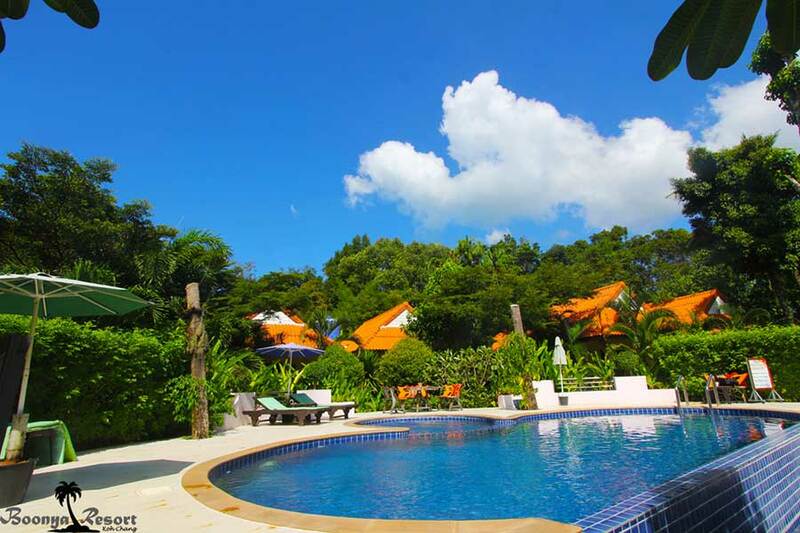 The Boonya Resort is located in the heart of Klong Prao, just a few minutes walk from the beach and offers a beautiful “home” in the tropical jungle especially for families, but also for couples or solo travelers. The resort is run by a South Tyrolean family, who always have tips around the island, and feel at home in the Boonya Resort, with a very relaxed and informal atmosphere. 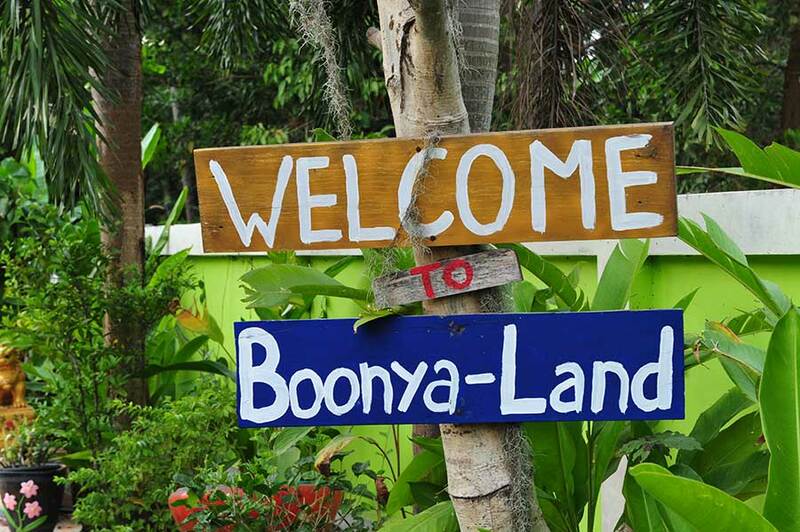 The Boonya Resort has both basic fan rooms and air-conditioned rooms, as well as beautiful bungalows in the garden, with air conditioning and private balconies. In addition, the resort has a beautiful pool where you can spend relaxing sunny days. The price-performance ratio is unbeatable here in the Boonya.